Thanks for popping in. Trying to tidy this ‘ere workspace in readiness for what’s coming up – TV shows, new products, new directions. It’s like painting the Golden Gate Bridge; by the time you’ve finished it, you can start again! Hey ho! I found a really cool piece of stencil, which I think I may have a little play with today. I say piece, because I definitely cut it out of a larger whole a while ago! 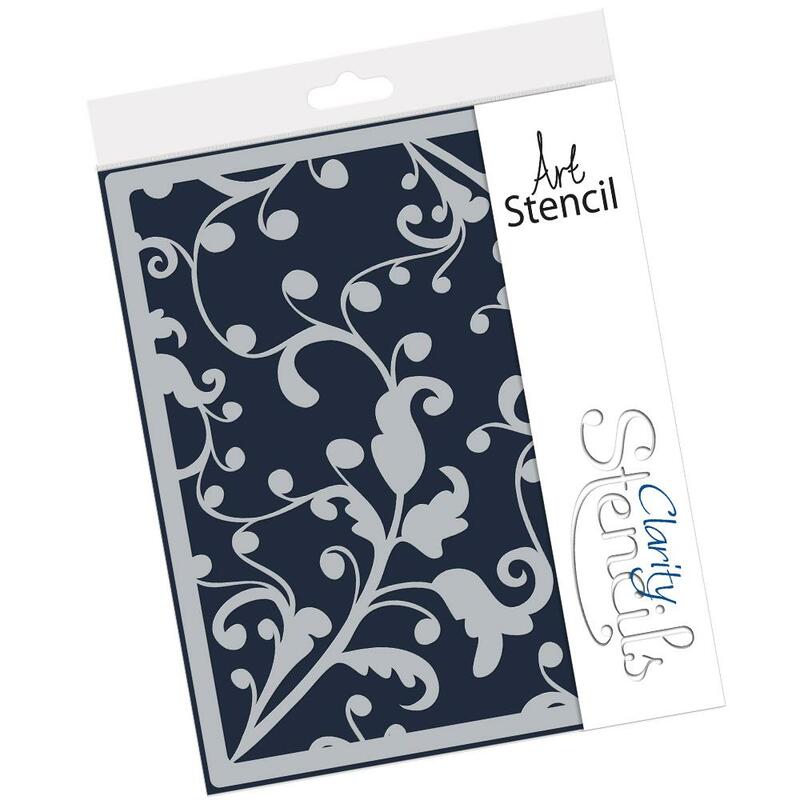 After Leonie’s frameless stencils double sellout yesterday, we definitely need to revisit the stencils we already make! Who says I’m not organised?! Look! 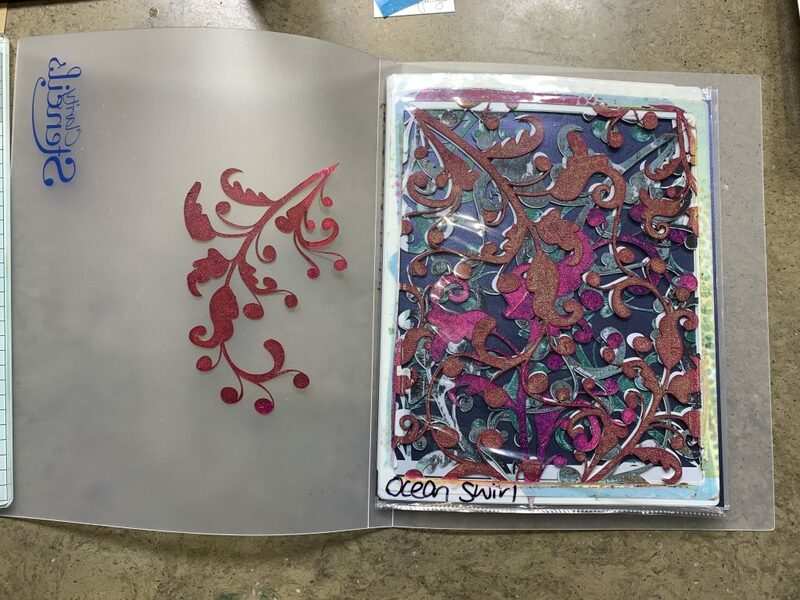 All my large Ocean Swirl stencils in a folder! Impressed, huh? The girl’s got friendly helpers – that’s a cert!! It is my most coveted print. I LOVE IT. I know the process, know HOW I made it, am even pretty certain which paints I used; but I also know I will NEVER EVER be able to duplicate it. That makes it special. Aha! Here’s the original piece! The light one I like is the ghost print from this one! Hence the green. Ironically, I made these prints years ago, right at the beginning of the Gelpress revolution. Didn’t know how it happened. Never wrote it down. Got a rough idea…. I guess that’s the difference between craft and art: the predictable versus the unpredictable, that I’m always banging on about. We can learn the processes, the techniques, but we can’t regurgitate the same, we can’t duplicate. 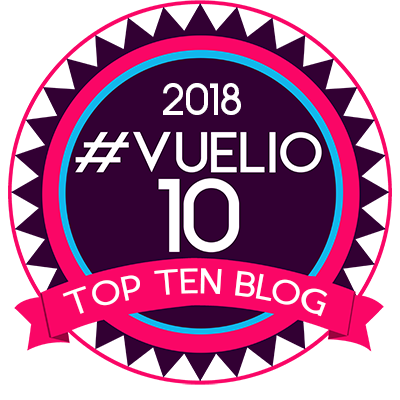 I think that’s great, and this year I have decided to travel further down that path of unpredictable art, to build the bridge between art and craft. I’m in good company, that’s for certain! Leonie, Sam, Dee – and many others in the Clarity team are seekers too. We are all explorers in a way, and this year we are set for a really exciting arty expedition. I hope you are up for it. 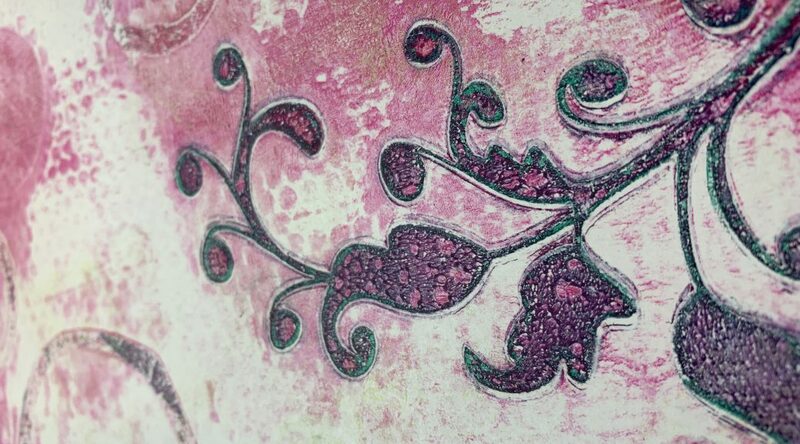 I have gone off on a little tangent with my pottery, but I can’t tell you how much I love working with clay. Almost every week, a little voice in my head says, “Gray, there’s too much to do at the office. You can’t bugger off midweek to a pottery class!” Then another, more loving little voice says, “Sod off! There’s nothing that urgent that it can’t wait a day!” The typical lament of a workaholic…. Anyway, enough rambling. Time to play with that piece of stencil from the large Ocean Swirl. I have spent hours playing this afternoon. 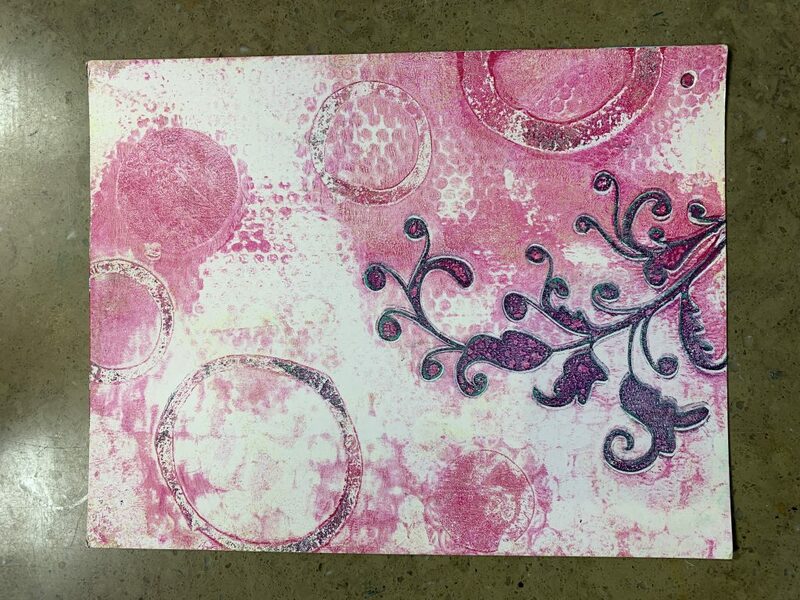 Paints, Gelpress, stencils, brayer. Figuring things out, getting it wrong, getting it right. Was I able to reproduce the pieces I found? Nope. But I made loads of other stuff! Bit of this, bit of that. It’s called playtime. Downtime. If I were a football player, I suppose this would be the equivalent of kicking a ball around in the park on my own, not concerned about scoring goals or winning; just figuring out what happens and what doesn’t happen when you do this or that. Nothing to do with the performance. Everything to do with the next time you’re on the pitch with the team. I like this piece. Cool texture. Just ran the painty stencil through the Gemini at the end of playtime. All the layers came away together. Nice. I am coming down with the lurgie here.Time to go indoors and make a pot of tea. Hope Mr Lurgie does one & doesn’t take up residence !! 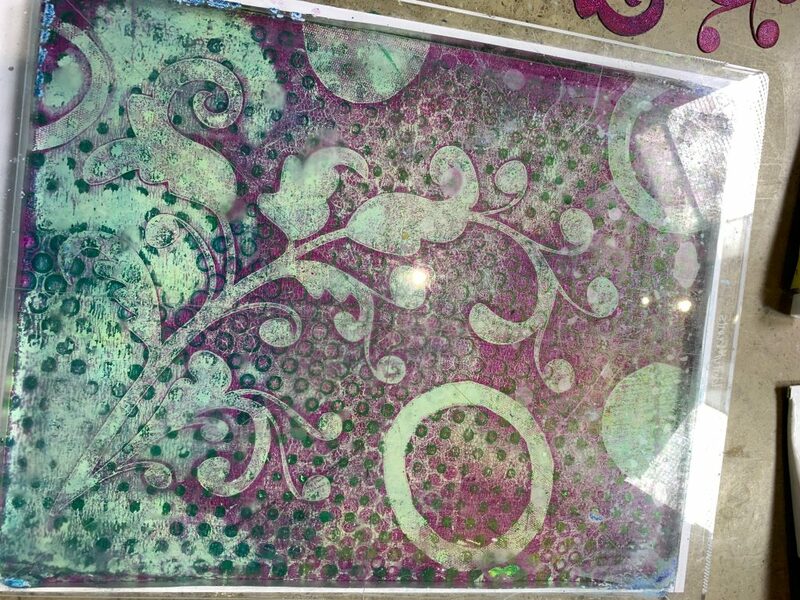 love your gel plate art. Its nice to switch off occasionally & do something different. Feel better soon Barbara. 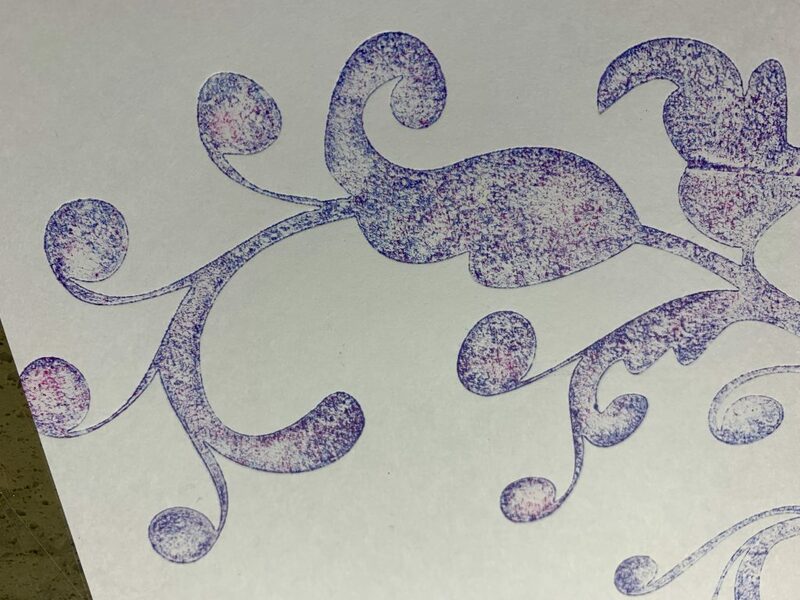 I have been having real fun looking at Clarity stamps and stencils in new ways for ATCS, tags, ATCoins and journal pages rather than just making cards. I haven’t been disappointed yet. Love playing with mixed media. Hi Barbara… I hope you don’t feel too poorly!! !and if the lurgy has decided to descend on you that you manage to shake it off really quickly… Lots of vitamin C.
It’s great to play.. And that’s what I’ll be doing once I get stuff finished and in the post! Try and relax a lot tonight! 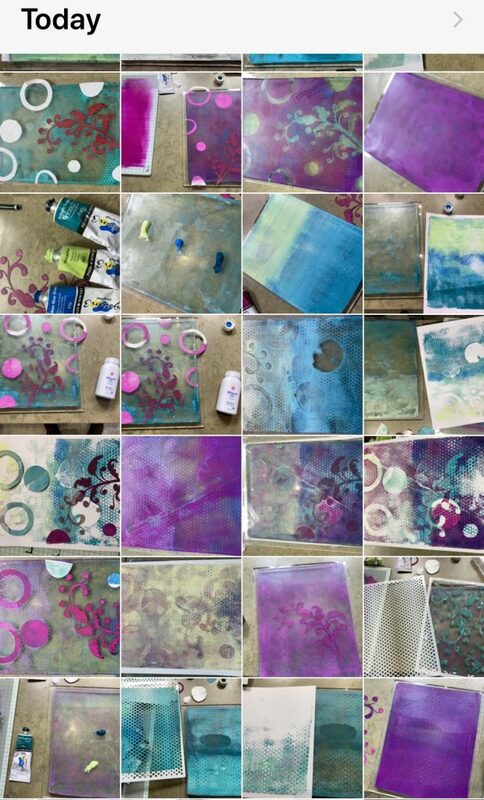 Looks like you had a wonderful play with the Gelli Press! It is just wonderful being able to get yourself “lost” in creating backgrounds to your heart’s content. There is no right or wrong way and what the end result is is always a pleasant surprise the majority of the time. Sometimes we experience those wonderful “happy accidents”. Enjoy your evening and regards to Dave! 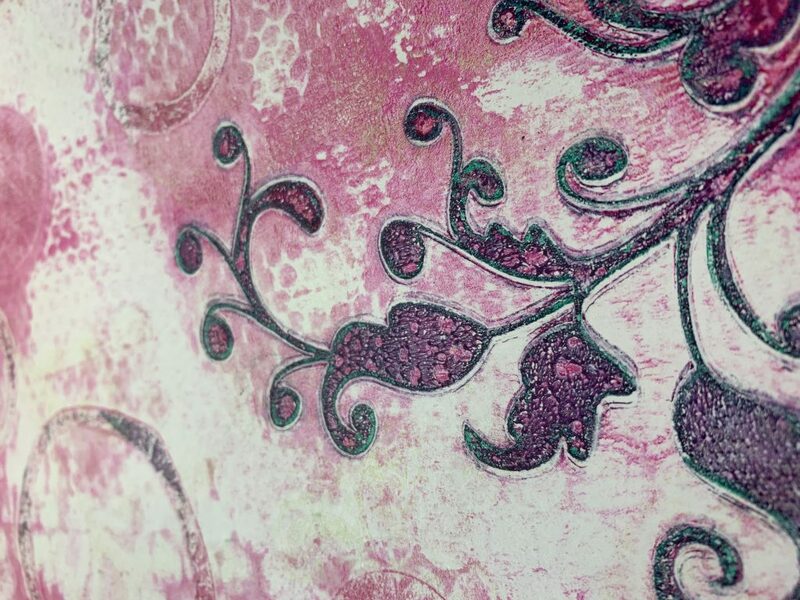 I am waiting for Leonie’s stencils to arrive and locating my gel plate. It has been neglected of late as I am currently obsessed with the Groovi Queens. I only have a 6×6 but will be investing in a bigger one. I love what you have created with the swirl. Can I bring myself to cut up a stencil? Of course I can. 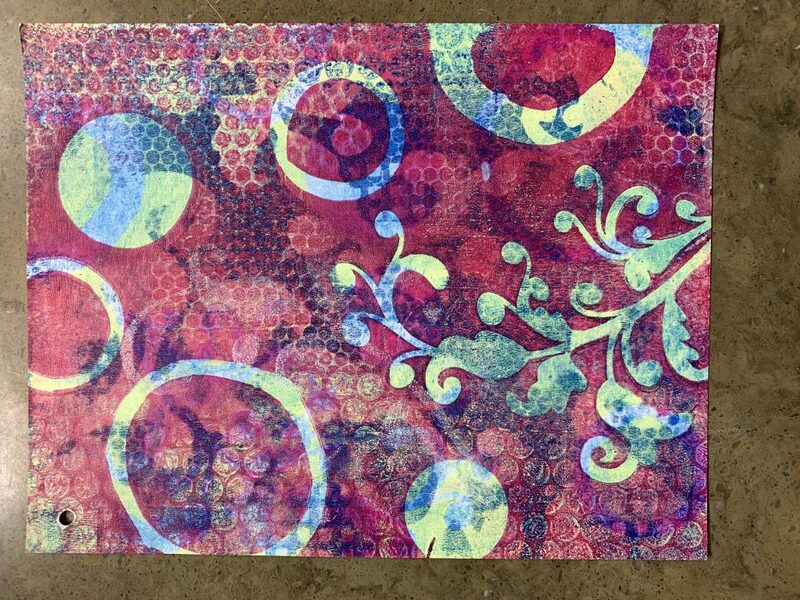 This Ocean Swirl is such a ‘go to’ stencil for all sorts of cards. I love it. Not replicating our art is what makes each item unique. I don’t often get into the messy mixed media, preferring to use pencils, inks, and your wonderful brushes, but I can see you had a blast this afternoon. Expect we’ll see some of them as backgrounds to future projects. Keep up the pottery, we all need something completely different to take our minds off the day job. Yours is not exactly 9 – 5 so take pleasure in this which you enjoy so much. Sorry you’ve caught the dreaded lurgy. It knocked both of us for six and there seems to be an awful lot of it about. My advice is keep well hydrated, lots of hot drinks, eat little and often to keep up your strength, forget the housework and wrap up warm. I’m sure Dave and the dream team will keep things going if you need to rest up. To all our bloggy friends who have been under the weather lately here’s hoping you all feel better soon.